Many of us will intuitively link the title of the play to Rabindranath Tagore’s well know poem, “Ek Gnaye” and correctly so. Sambhu Mitra and Tripti Mitra particularly immortalized the poem in their rendition of it in Bidhayak Bhattacharya’s celebrated radio play, “Tahar Naamti Ranjana”. “Ekti Gnaye Thaki”, written and directed by Sudipta Bhawmik, is the story of a sister, Ranjana and her brother, Rajat, reuniting after fourteen years. 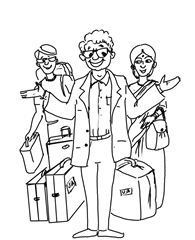 Rajat immigrates to the US with his family after Ranjana sponsors their green cards. The reunion is marked by its usual excitement followed by nostalgia for their “gnya” they left both behind. Rajat becomes a critical link for Ranjana to relive her past, while Ranjana helps him come to terms with his decision to abandon his familiar world in Gobindapur. Ranjana is also ill and Rajat’s presence offers a long-awaited emollient. 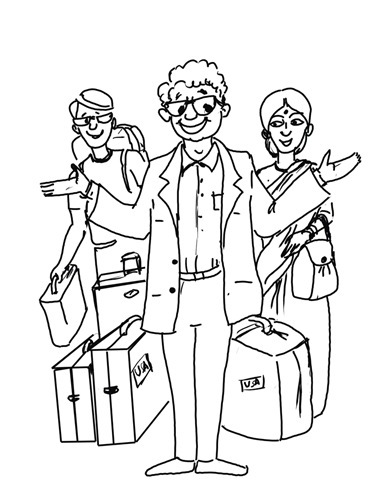 As the brother and the sister often slip into the past, the rest of the characters are excited at the prospects of their future in the US, especially Rajat’s son, Rajib. Saturday, MAY 16 – Interactive talks with audio visual illustrations. 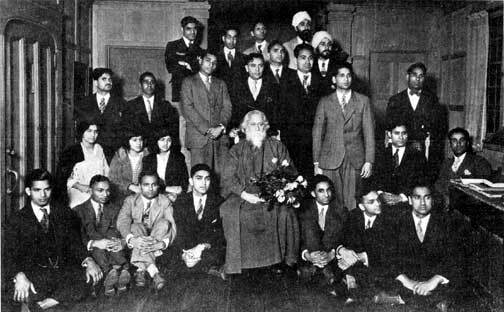 Topics: Rabindranath’s Poetic Vision: A Synthesis of Arts & Sciences; Rabindranath in Translation; Disconnected Genius: Rabindranath, Dwarakanath; and Rabindranath & Folk Culture. Sunday, MAY 17 – Rabindra Sangeet Soiree. Hirak Guha:(732) 821-8719, Subhodev Das:(609) 924-6709, Surya Dutta: (732) 422-0599, Dhriti Bagchi: (732) 577-9575, Jhum Basu:(732) 817-0264, Sushmita Dutta:732-658-1643, Priyoranjan Das: (732) 274-9654, Krishna Bhattacharya: (732) 536-6325, Narayan Ray:(908) 561-9766, and Zafar Billah:(732) 951-9962.